Beneath Bangladesh: The Next Great Earthquake? Class Trip - to Bangladesh! Completed first field season in Bangladesh! 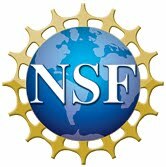 New joint USAID-NSF program supporting our colleagues in Bangladesh! we can only support US citizen and permanent residents. For more information on Queens College opportunities click here. The collaborating institutions in the U.S. are Columbia University (NY), Vanderbilt University (TN), the University of Minnesota, and City University of New York, Queens College. Collaborating foreign institutions are the University of Dhaka (Bangladesh), Bremen University (Germany), Physical Research Laboratory (India), the Bengal Engineering and Science University (India) and Istituto Nazionale di Geofisica e Vulcanologia (Italy). This project is co-funded by the National Science Foundation Office of International Science and Engineering and the Division of Earth Sciences.